Invest in TCS 2018 is underway. 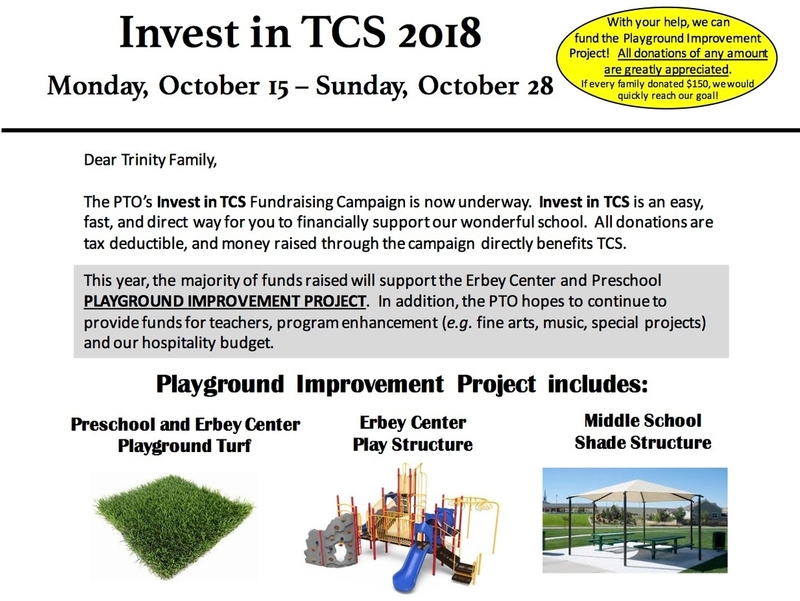 We are excited to announce that all funds raised this year will go toward massive playground improvements for both the Erbey Center and the Preschool. A special thank you to our PTO for their continued support and efforts to keep improving our school. Please click here for further information or to make a donation.